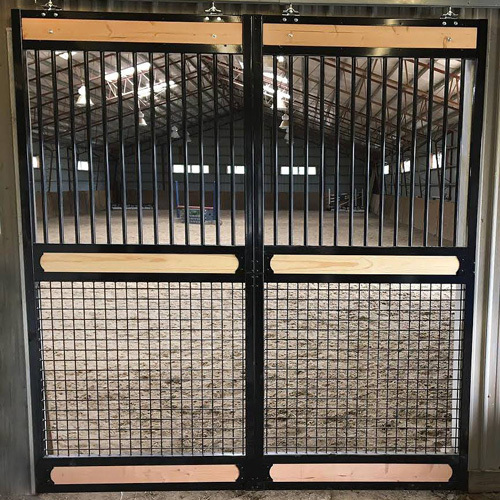 At RAMM Horse Fencing & Stalls, the Oxford welded horse stalls are our most popular selection among horse owners; Oxford welded horse stalls are built to be stronger and last longer. With our expert craftsmanship and attention to detail, this equine stall is second-to-none. The grillwork and door are welded of 14-gauge steel and all of the welds are done from underneath for beauty, safety, and strength. 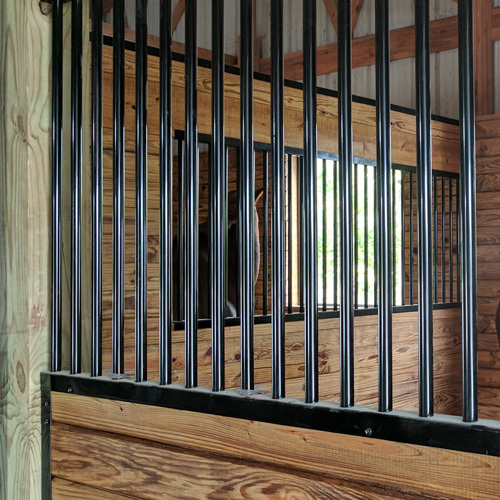 With these horse stalls having our featured welds, most of the work is already done for you, so less time is needed for installation. Support posts and standard 2" x 6" lumber are required for installation (not included). 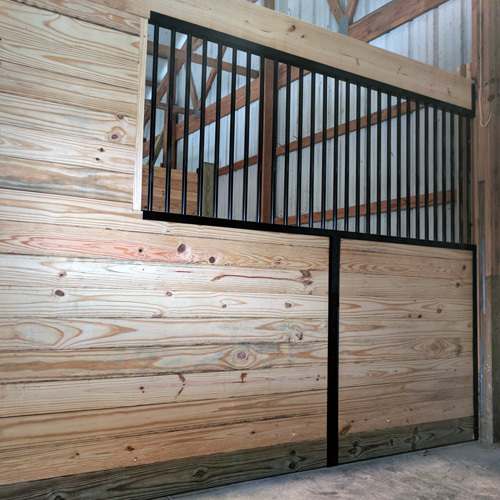 RAMM offers two quality finishes for this horse stall system: hot-dipped galvanized (for superior rust protection) and powder-coat painted with a variety of color options. 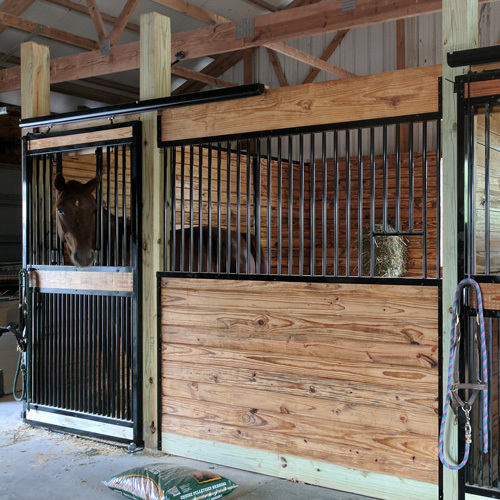 The upgrades and options for our Oxford welded stalls include feed doors, feed openings, gossip "V" doors and much more. 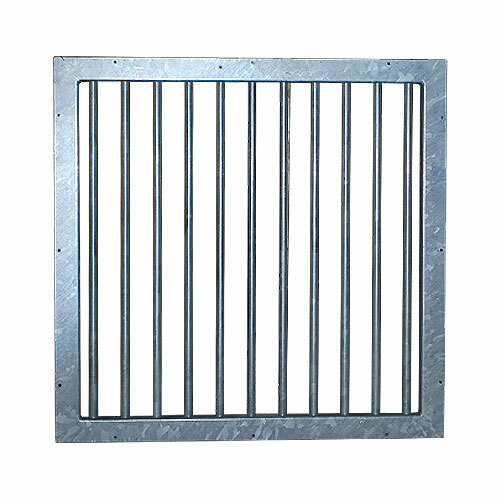 Full-grill doors are a great solution for adding extra ventilation in the horse stall – ours have the closest bar spacing available. 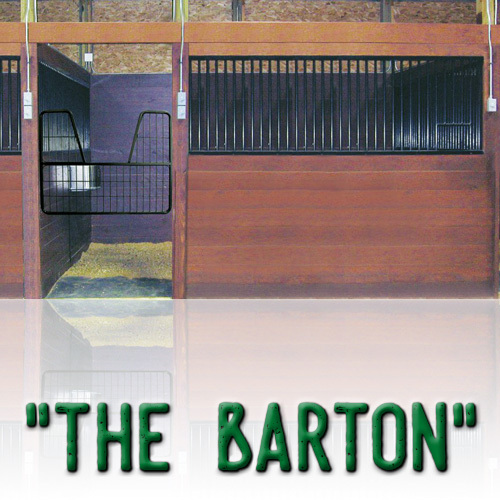 Check out all of our other horse stall accessories to help complete your barn, ranging from latching systems to track hardware – all are top of the line. Want to get started? Give us a call at 1-800-434-8456; our friendly and knowledgeable staff is ready to assist with questions, planning, and free estimates for your farm and barn plans.